My Windows 7 laptop suddenly, out of the blue, started having network problems. 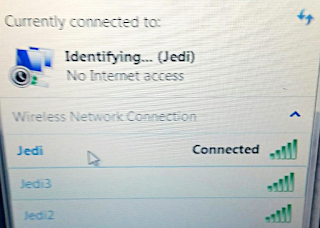 When trying to connect to any of our several WiFi networks, it gave the error "Identifying... No Internet Access." 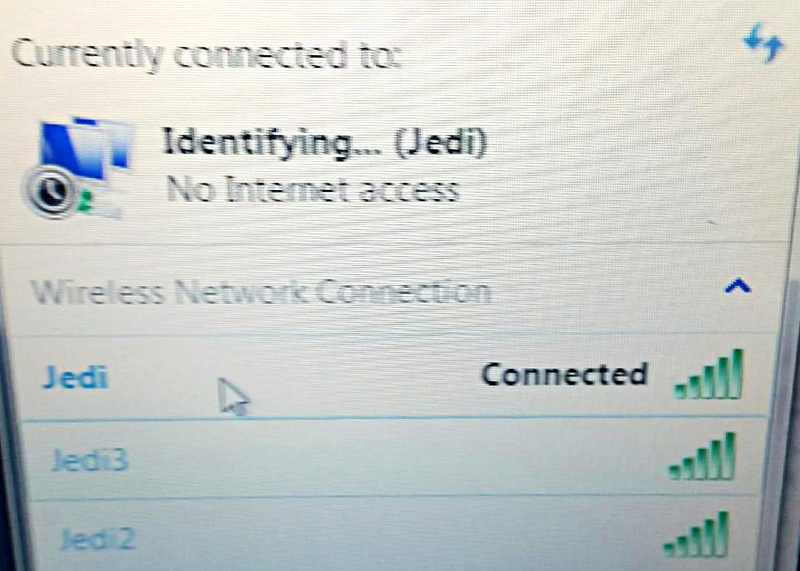 Connecting to a wired ethernet connection worked just fine. After hours of frustratingly chasing wild geese, I finally solved the problem. Several web sites gave lots of different options for what might be wrong. None of them fixed my problem. On a whim, I finally decided to have a close look at the DHCP logs on my router (which happens to be a Linux server running the ISC DHCP daemon). I noticed that the laptop was repeatedly requesting an IP address that was not in my LAN subnet. My DHCP server was offering a valid IP address, but the laptop was rejecting that offer. 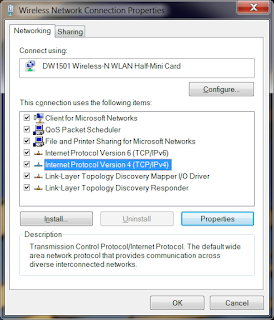 On the laptop, I opened the Control Panel, go to "Network and Sharing Center," click on "Change Adapter Settings," then right click on "Wireless Network Connection," and choose "Properties." This brings up the Local Area Connection Properties. 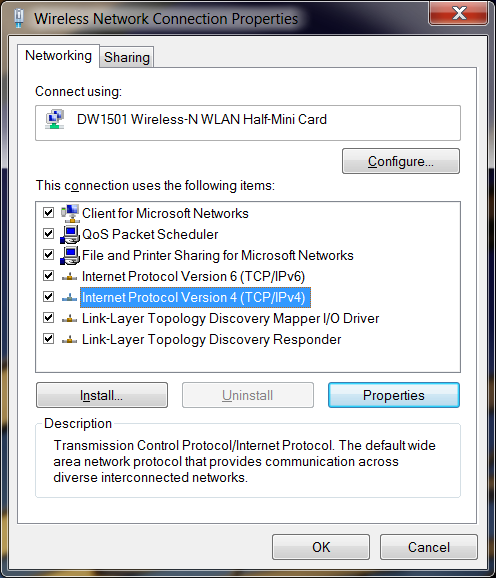 In the "Networking" tab, select the IPv4 stack and click the "Properties" button. Under the "General" tab, select "Use the following IP address," and then fill in the information that's appropriate for your local network. Same for the DNS servers. The network should now be working. Try to ping www.google.com to test it out. Now go back into the IPv4 properties and set both the IP address and the DNS servers to be obtained automatically. This is where they should have been before we started all this. Test the network again by pinging an outside address. If you check the DHCP server logs again on your router, you should see that the laptop is once again accepting the offer of an appropriate IP address. I have no idea what caused this to happen. If this solution fixed the problem for you, too, please let me know in the comments below. If not, let me know that as well.